To inspire youngsters during the holiday periods, Dragons will be running skills camps for children aged six to 14-year-olds of all abilities, along with a Pro Rugby Camp catering for 12 to 16-year-olds at the Dragons' HQ at Ystrad Mynach. Young rugby stars can gain new skills, confidence and friendships at the rugby camps in a fun and friendly environment. Click here to see what kids got up to in the Dragons region in August 2017. 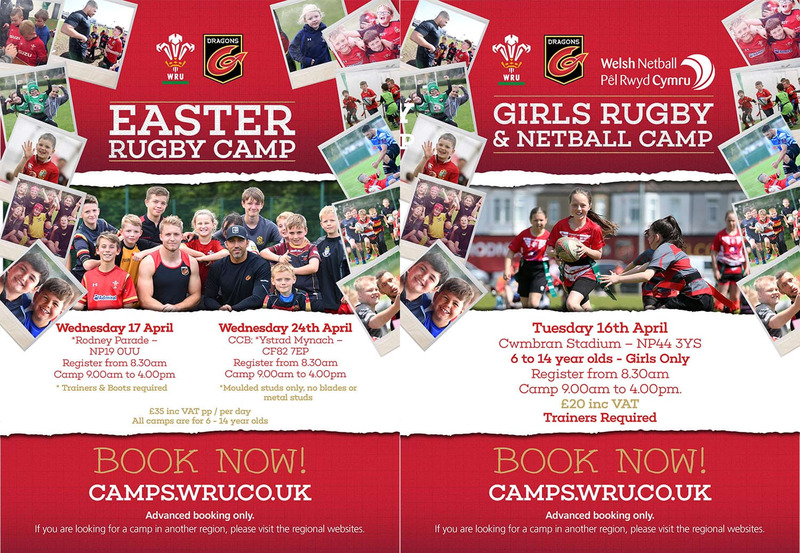 For camp dates and details visit ------> camps.wru.co.uk.